Some of us are morning people and some of us are night owls. As a leader it is good to recognize when your sweet spot is both from a focus and energy management perspective. Important conversations are best held when you are in the strongest frame of mind. Jeff Bezos, for example holds key meetings at 10 AM each day. Jeff has built an entire company around metrics and analysis. His brain is optimized at 10 am. What about you? What time is your brain working at it it’s peak performance? P.S. Are you looking to maximize your leadership abilities for your staff? Our leadership coaching helps your team to identify core competencies, strengths and weaknesses and demonstrate these within the goal of effective leadership. 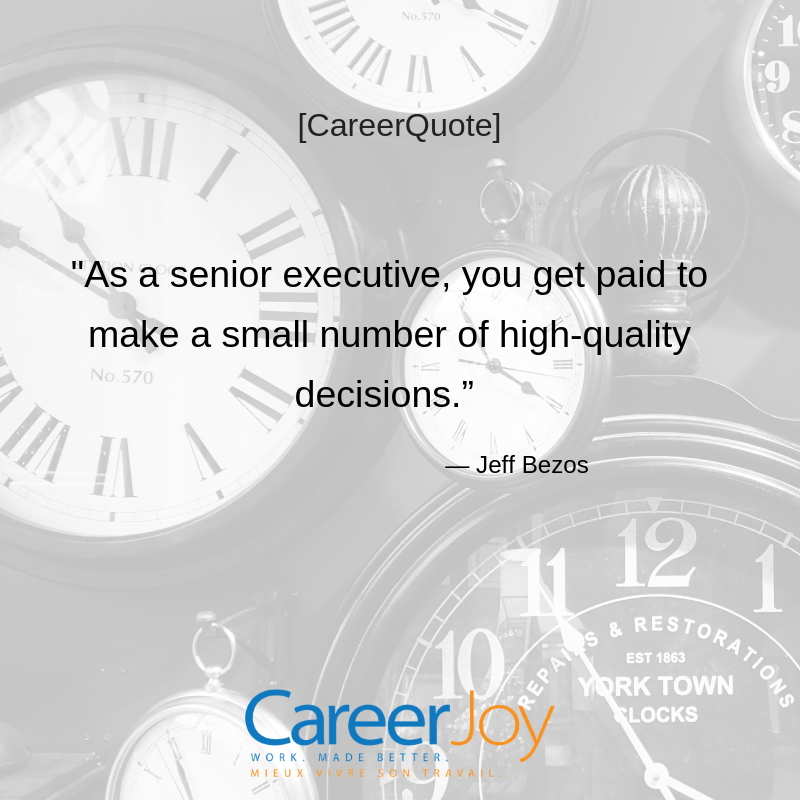 Reach out to Jason Parks, National Director of Corporate Development at 1-877-256-2569 ext 600 or jason.parks@careerjoy.com.